UMaStandi shows promising start leading into the New Year after registering 3 loans between December and January 2019. UMaStandi is a backyard rental mortgage facility, established by TUHF that targets township home-owners to become real property entrepreneurs; offering well-managed, quality affordable rental units in their communities to ensure the success of their business. 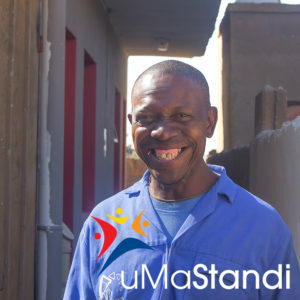 UMaStandi is currently offered to the Greater Soweto in Gauteng, Khayelitsha, Mandalay, Delft and Masiphumelele in the Western Cape. What makes uMaStandi different from other loans? At uMaStandi, we finance people, not buildings. Because of our approach we rely on honest, effective relationships with property owners. Our relationship of trust with you as entrepreneur is very important, and is the foundation of our ability to lend money to you. Because our success as a property finance company is based on your business success, we are committed to walk the journey with you every step of the way, to give you the best chance of success. You, uMaStandi and tenants…a partnership for success! Do you have what it takes to be an uMastandi rental property entrepreneur? Are you driven and committed to your business success? Do you own the property on which you wish to build? Do you have the Title Deed for your property in your possession? Do you have a good credit record? Do you have enough space in your yard to accommodate new rental units? Do you want to build good quality units with proper bathroom and kitchen facilities? Are you committed to rent out your accommodation only to those that can pay rent regularly so you can repay your loan (therefore not allow family members to live for free)? Building you to serve the community.